Throughout my life I have been obsessed with science fiction, fantasy, and the fictional. I’ve poured countless hours into books, movies, tv shows, video games, and comic books since I was a young boy. I’ve loved the stories of heroes, anti-heroes, the unexpected, the call to protect, the introduction to something new and different. In many ways, I have been greatly influenced by what was once a ‘fringe’ activity while growing up, but has now been thrust into the limelight of popular culture. I was a nerd and a geek before it was cool. During those times of formation by the stories of gamma rays, alien invasions, and radioactive spiders I also dove deep into my faith. Attending worship with family, and eventually on my own. Finding solace and peace in the words of the liturgy, the hymns of praise, the community of believers. Having engrossing conversations with friends and strangers about where God is at work in the world and where the Holy Spirit might be leading us. It has been an eventful journey to say the least. So eventful, that God saw it fit to call me as an ordained minister in the church. I’ve been a pastor in the ELCA for almost eight years now, and my love of faith and popular culture hasn’t diminished in the slightest. So, it is no wonder that two of the things I care deeply about and am passionate to share just happen to intermix in wonderfully weird and amazing ways. I cannot help but see God at work in the movies and shows I watch. I think about the actions I take in video games (especially the ones that give the options of choice) and how my faith reflects and impacts those decisions. I love to talk about those intersections of faith and popular culture with others. For over 10 years, the world has been introduced to the mighty heroes of the pages of comic books in exciting ways. Specifically, on the ‘big screen’ as Marvel’s Cinematic Universe has taken shape through 21 different films. The ‘culmination’ of these films will hit with Avengers: Endgame which comes to theaters on April 26, 2019. In the lead up to seeing Endgame, I’ve decided to re-watch all of the Marvel movies. First, because it has been awhile since I’ve seen some of these movies. Second, I want to see the whole story arc before ending it with Endgame. Some of these movies are great, some of them are not the best. But, they are ALL enjoyable and fun in their owns ways. As I watch them, I’ve been keeping notes of the Gospel Glimmers that I see present in them. And, I wanted to share those thoughts with y’all. So, the following is a quick, not thorough, and definitely not exhaustive list of how I see the Gospel at play in these movies. You may disagree with my interpretations in them, you may find others that I never saw. That’s great! Join the conversation. In fact, if you’re in the Newberry, SC area – you’re more than welcome to join our monthly(ish) Nerd Word faith study group. We get to have all these really great and nerdy conversations about movies, shows, and faith! It’s a lot of fun! 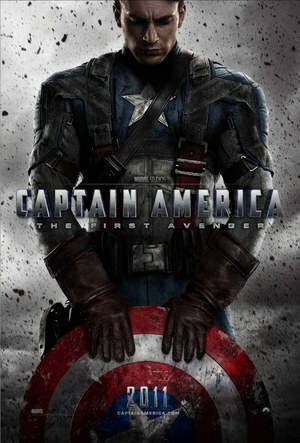 In this movie, we are introduced to the first ‘superhero’ in the Marvel Cinematic Universe, a man named Steve Rogers. Steve is an atypical individual during the height of World War II. He’s scrawny, has a plethora of health issues, and yet possesses a determination to do something to combat injustice and evil in his world. The best way he knows how is to join the Army and fight the Nazis overseas. Of course, because of all his ‘limitations’ he’s never allowed to join. Eventually, he catches the eye of an Allied scientist who is implementing a ‘Super Soldier’ program and is looking for the best men to be the first test subject. He chooses Rogers, who gladly (if not humbly) accepts and he is transformed into Captain America. He’s gifted with strength, speed, and size. He goes on to fight the Nazis, save his friends, combat the beginnings of Hydra, take on Red Skull, and sacrifice himself to save the country from certain doom. Cap is a savior figure in the Marvel world. He’s probably one of the few characters that can be paralleled with Jesus Christ. He’s kind, he speaks out against injustice, he is for the ‘little guy,’ he helps others believe in themselves, he sacrifices himself to save his friends. He is very much a Christ-like figure. He’s also the guy no one expects. At least not at first. And Jesus wasn’t the one the world expected either. Jesus wasn’t wealthy, he wasn’t a military mastermind, he wasn’t cosmic figure that would lay waste to the oppressors and enemies of Israel in one fell swoop. He was a poor carpenter from a backwater part of Israel. He wasn’t what anyone expected. Steve/Cap is that way too. When we’re first introduced to Steve, he’s a scrawny kid who can’t possibly hurt a fly. Not because he wouldn’t try (if the fly deserved it), but he probably literally couldn’t hurt the fly. Yet, what he lacked in strength and agility, he more than made up for in devotion, grit, and unabashed love for his friends, family, and strangers. He would literally die for the people around him. That wasn’t made more clear until his commanding officer in the Super Soldier Training Program tossed a ‘dummy’ grenade in the middle of the training group. Every macho, big, bruising hulk of a soldier that saw that grenade ran for cover. Yet, the scrawny kid everyone picked on immediately jumped on what he thought was a live grenade and yelled that everyone ‘get away’ so they’d be safe. He’s willing to lay down his life for his friends and others. It was after this moment that he is told by the lead scientist, Dr. Abraham Erskine, tells Steve that whatever happens after the test is (successfully) completed that he will still strive to be a good man and not a perfect soldier. As we read scripture, it is chock full of people who want others to be perfect in their life. Perfect in their worship, perfect in their actions, perfect in their speech. Yet, more often than not – people – everyone – fails at that endeavor. In spite of creations desire to ‘be perfect,’ it seems that God is more interested in us being good. Good to others, good to ourselves, good to what we have been gifted. A life where everyone is caring for and serving with each other to the Glory of God. As a Lutheran I know I’m not perfect. I know I will always fall short of that. Yet, in spite of that failing and fall, I know that God will continue to love me, guide me, and show me that love in the world and in my life. Where leading the life of a faithful individual will put me at odds with the world. I’ll go against ‘conventional wisdom’ or even break the authority of those around me for the greater good of serving and caring for strangers. Cap does that as he goes off into the fray – alone mind you – to save his friend and his friend’s platoon from certain death. Captain America strives for what is right, even when others disagree. There are a lot more parallels to the gospel in this movie, but we can have a deeper discussion at another time. Being that this movie is so recent – I’ll give a spoiler free summary of the movie, and then you can go watch this movie and come back. I really enjoyed it! In many ways, Carol Danvers/Captain Marvel is a Christ-like figure as well. Not in the same way as Captain America/Steve Rogers, but very similar. Like Cap, she vows to fight on the side of truth (once she discovers it fully) even when that truth turns her whole worldview upside down. 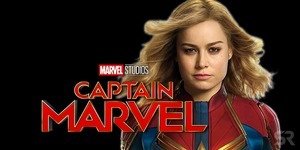 Initially, she believes that the group she fights for (the Kree) are the proverbial good guys who are out to bring justice, freedom, and order to the universe. Granted, that justice, ‘freedom,’ and order is in a very specific way where others must bow down to the Kree’s ultimate authority and rule. They are in a bloody and dangerous war with the Skrull, beings who can change their very selves into others. Skrulls are bad – and they sure fit the moniker. They are green with spikey ears and can speak in growls. Plus, they can literally be any being near you so they are very dangerous. Throughout this film, Danvers struggles with the idea of who she is and what defines us as a person. Her memory is in bits and fragments. She is consistently told to ‘forget’ what she thinks she knows about herself, and fall into line with those around her. She must be the perfect soldier. Listens to commands, doesn’t show emotion, and fall in line. Always. That’s what God says to us. I know you. I love you. I accept you. That’s powerful stuff, and it is what Carol needs to hear in order to fight for the truth she now knows. There are distinct moments in this film where even Carol Danvers’ body position is to evoke a sense of ‘savior.’ Arms spread wide, on her knees in a ‘praying’ gesture as she communes with the Kree Central Intelligence. The incredible power she is able to control that saves the day and thwarts the enemies. 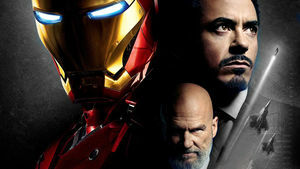 This is a movie centered around a pompous, arrogant, extremely wealthy, and incredibly brilliant individual named Tony Stark. He owns and runs Stark Enterprise that creates weapons of war to ‘keep the bad guys away.’ As he says in a demonstration with US military personnel – make a weapon that you only have to use once. Eventually, his work catches up with him and he is captured and forced to create his latest weapon for an evil man and organization. Of course, Tony has other plans. Instead he ends up creating a suit of armor (powered by the device he created to keep the shrapnel from entering his heart). After he escapes, Tony has a moment of confession and repentance. He realizes how much harm his business has done. Intended solely for the ‘protection’ of allies, his weapons eventually (and frequently) find their way into the hands of truly evil people. He vows to dismantle the weapons program at Stark and re-imagine what his gifts can be used for. He confesses his sin of war profiteering and repents from those ways. Granted, in the process he does make an amazing armored suit that is fitted with the latest technology that he uses to do his own ‘dismantling’ of enemy combatants. Our life of faith though is centered in many ways around confession and repentance. We do things that are bad. Sin is a prevalent part of our life. Yet, we are called to confess our sins, and God who is faithful and just forgives our sin. In this new and continually forgiven life, we live in repentance – turning away from sin and turning towards a life of God and good. There are a few more gospel glimmers, but confession/repentance is the big one in this film. Nicely done. I would love to hear what "gospel glimmers" you see in Guardians of the Galaxy.